There are many things that can go wrong with hardscapes around your home. Some of them may be the result of installation mistakes, and others may occur naturally over time. If you step outside and look out at your patio or walkways and it makes you want to turn and go back inside, we understand your pain! Old styles of concrete sidewalks. Concrete sidewalks crack over time, leaving space for weeds to sprout in those gaps. Ugly patios. While they are an inexpensive, quick solution to bare lawns, plain, cement slab patios leave much to be desired. Failing Walkways. Walkways that shift or ones where the outer border has begun to sink or disappear altogether are unsightly, and create a tripping hazard. Uneven steps or pavers. 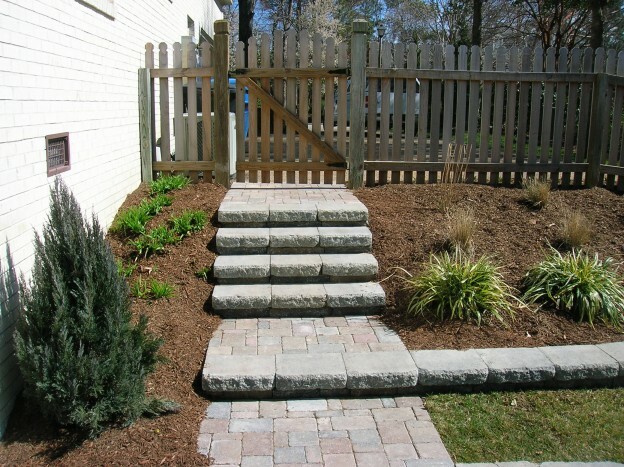 When pavers or stairs are not installed properly, they can shift over time in an uneven way, leaving the pieces at different heights. Sidewalks and driveways that are all all function and no form. Just because your walkways and driveways serve a purpose doesn’t mean you can’t also incorporate them into your landscape design to increase curb appeal. And the problem we hear most of all: the absence of hardscapes! 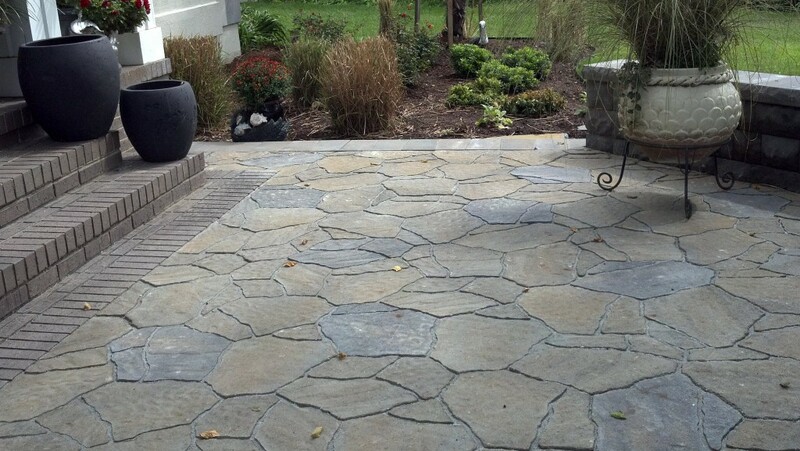 Don’t let your hardscapes keep you from enjoying your outside spaces. There are many ways to transform an old, uninspiring landscape into something you’ll look forward to showing off to guests! 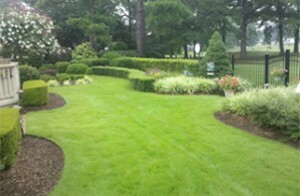 When you’re ready to discover how amazing your yard can be, give Edward Gosman & Associates a call at 757-421-2500 or contact us online for a free landscape design estimate. This entry was posted in Uncategorized and tagged deck, hardscapes, pathways, patio, pavers, stone, walkways on November 4, 2016 by Edward Gosman & Associates.